Mr. Caudall is a 72-year-old male admitted from an acute-care hospital. 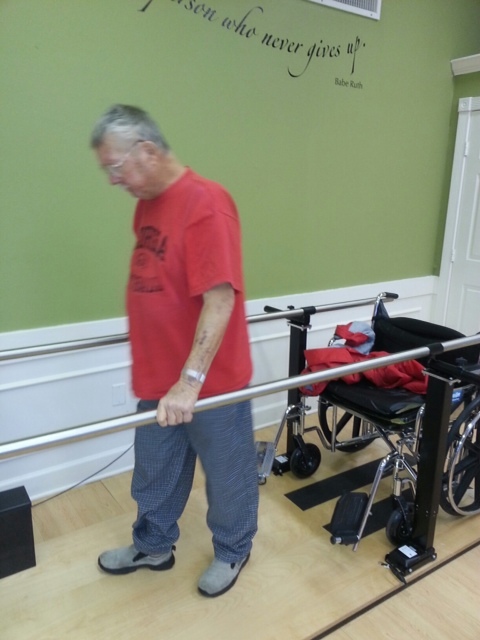 During his hospital stay, Mr. Caudall experienced a severe decline in his functional mobility due to muscle weakness, impaired balance and inability to ambulate. Prior to the hospital stay, Mr. Caudall was living at home independently. He was capable of driving and handling basic daily errands. Mr. Caudall was referred to Signature HealthCARE of Marietta’s ExceleratedCare Center on 11/27/2013. Mr. Caudall is actively participating in all ‘plan of care’ activities, making good progress towards all short-term and long-term goals. Because of his progress, we have seen a tremendous improvement in his ability to maintain balance and walk with minimum assistance. 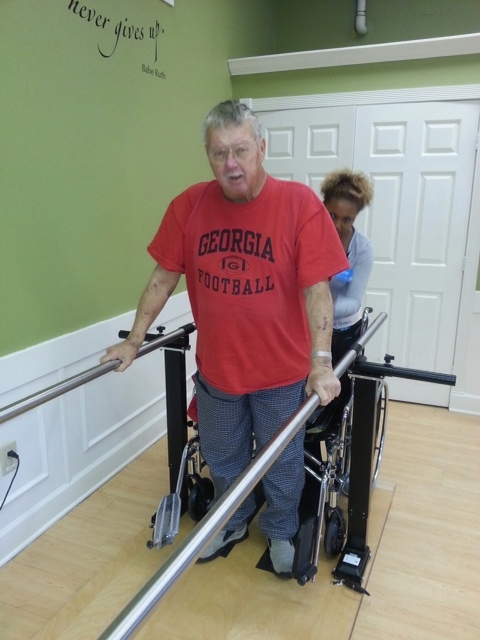 Mr. Caudall is making great strides on his road to recovery. Because of his determination, he was chosen as our success story of the week. Congratulations Mr. Caudall!